Bellmore, NY - April 10, 2014 - Ask most people which time of the year they think has the highest suicide rate and they will answer during the dark and cold winter, especially around the holidays. Instead, recent studies continue to report that suicide and suicide attempts actually spike during the Spring. While studies and research are ongoing, there has been, to date, no clear-cut explanation for this seasonal enigma. One theory suggests that during the winter, people with depression are often surrounded by persons who are feeling down and despondent, too, because of the weather. However with the arrival of Spring, people who were feeling down because of the weather start to feel better; and people who are depressed for other reasons remain depressed. They see others around them begin to emerge from the “winter doldrums” and they start to question whether they will ever be happy. 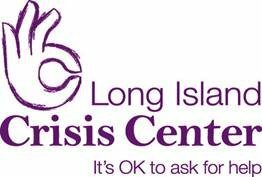 The Crisis Center provides suicide prevention and crisis intervention through its 24/7 hotlines at 516-679-1111; or its online and live chat at www.licconline.org; or by texting “LICC” to 839-863 (Monday through Friday, 3:00 p.m. – 11:00 p.m.) or walk-in counseling at 2740 Martin Ave., Bellmore. Subject: LongIsland.com - Your Name sent you Article details of "Long Island Crisis Center Alert: Spring, Not Winter, is Peak Suicide Season"